We are proud of the fact that we kick started the unprecedented trend of allowing trainees to opt for simultaneous training in both Green and Black Belts at the same time for the first two weeks. Such a format left trainees with more time than they had previously. Corporates also basked in the glory of a lot more flexibility than previously. They also appreciate our offering of a wide range of onsite Six Sigma Champion leadership courses that let them deploy six sigma principles with greater ease. Now, if you are in Tampa and eagerly looking to sign up for Green Belt and Black Belt after Green Belt together, you will be happy to know we have a $1000 discount offer – simply use the discount code BB1000. Enroll Now for Six Sigma Tampa Training and Certification. You may also call the hotel directly @ +1 (813) 888-8800 and reference 6Sigma. 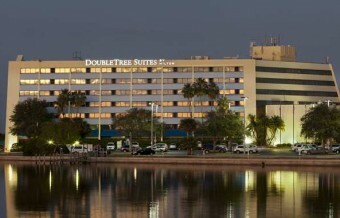 The Doubletree Guest Suites Tampa Bay hotel is an all-suite hotel located on the water overlooking Tampa Bay in the Rocky Point business area and moments from the Westshore Business District in Florida. Our full-service hotel offers complimentary scheduled airport shuttle service to Tampa International Airport. Our Tampa hotel is within close proximity to Clearwater Beach, shopping, dining and only 12 minutes from downtown Tampa and the Tampa Convention Center.